Because I clearly have a thing for writing super niche-ey blog posts. 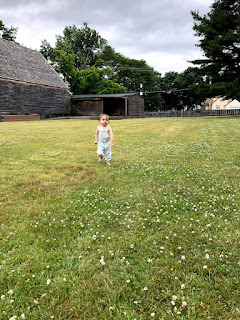 (See Traveling to Salem with Toddlers: Gluten Free and Dairy Free!) So here is a post for the few baby girls with teensy feet. Maple has had tiny feet since day one. She wore 0-3 months until she was a year old. She is just now growing out of a size 3 infant at almost two. When she started walking, she was a one. Most shoes that small are crib shoes. And most shoes that small made for walking babies aren't that cute. 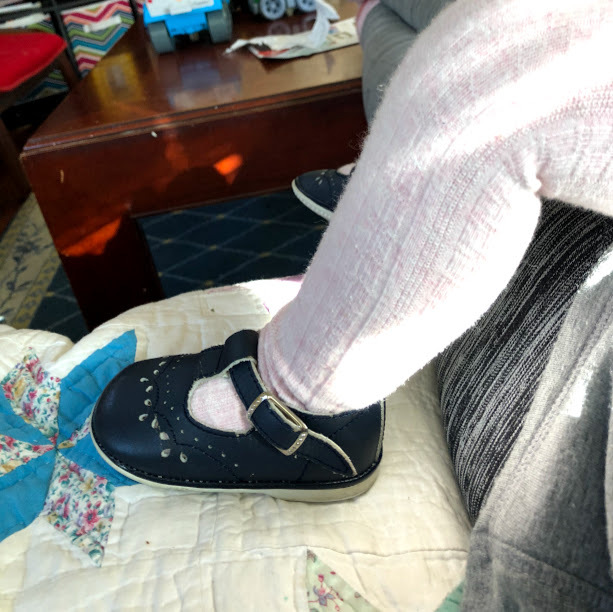 As a somewhat reformed, or rather toned down, shoe lover, I bought Maple her first pair of shoes the day that I found I was having a girl. I actually bought them before finding out that she was girl because they were that cute and I told myself that I could return them. I think I love baby girl shoes more than any other shoes ever. Shoes that she never even got to wear. Angel Shoes are by far my favorite. They are classic and so sweet. And they start at a size 1, which fits more like a 2. Baby Deer make for nice walking shoes even though they are a soft sole. They're leather like a moccasin. They also start at a size 0. Elephantito makes a great first walking shoe. They are a mix between leather and rubber soles. My favorite shoe for summer: The Saltwater Sandal. I wear them and so do both of my kiddos. So classic and so well made. Tiny Toms come in tiny sizes, too. Footmates have great support and come in half sizes, too. I've found some of my best deals on Kidizen! Like these baby pink Circo T Strap Mary Janes. Use my code: MDP7M for $5 off your first order. I am not sponsored, I just really really love this App. Maple is still too small for Mini Melissa's and Live & Luca's, and she's starting to have an opinion on what shoes she wants to wear, but that doesn't mean I won't still be buying up all the shoes for her adorable little feet.